All right, I said I would do it, so I am. A man of my word, here is the truth about the writing life. If I told you it was no life at all, I would be lying, but not by much. In my younger days I was enamored of being the man of letters. I imagined a life of high adventure and interpersonal relationships marked by camaraderie and a code of honor shaped by bullfighting and deep sea fishing. 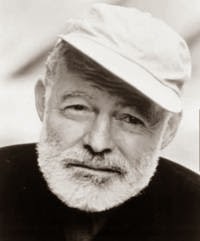 You know what I'm talking about, that 1950s cultural icon that somehow survived into the seventies despite taking a beating at the hands of folk music and drugs and the sneaking suspicion that people cared more about the Mary Tyler Moore show than the latest tome from Norman Mailer. When it became apparent that the writer had been relegated by the culture to a sideshow, a carnival attraction, then for me writing became an underground war of attrition, a personal quest that kept me sane by clinging to a juvenile obsession that had not only marked me for life, but determined all the major choices I ever made: college, career, life partner, etc. It was kind of like being a secret monk, scribbling away nights, typing up drafts of novels and stories from varied locales that all had in common a resolute distance from the centers of literary opinion. And then last year came the breakthrough i'd been waiting for. A publisher willing to take a chance, put my name on their brand and launch me out into the world of legitimate writerhood, (authorship?). Despite the slap in the face of a contract that specified marketing and publicity would be up to me, I told myself that was just the state of play in the "industry" and I went all in, applying the marketing lessons gained from self-publishing previous titles, and when SAVIOR came out as a Kindle Ebook in April, I was like a proud parent, beaming with the new presence in the world of my book. The reviews were good, some were excellent, and sales have been solid, if not spectacular to date. So how has my life changed and what have been the benefits and drawbacks of the experience? These are legitimate concerns and despite the fact that i know nobody cares, I'm going to try to spell it out anyway. One of my neighbors won a free copy of SAVIOR in exchange for helping out with crowd funding, and another neighbor asked me at my daughter's soccer game how the book was doing. My mother refuses to talk about my writing and changed the subject on Mother's Day when I brought it up in desperation. My father, who actually went out and bought a Kindle so he could buy a copy of SAVIOR, said I was improving but said he's not into dystopian fiction. So that's it as far as the people around me and the impact the book has had. 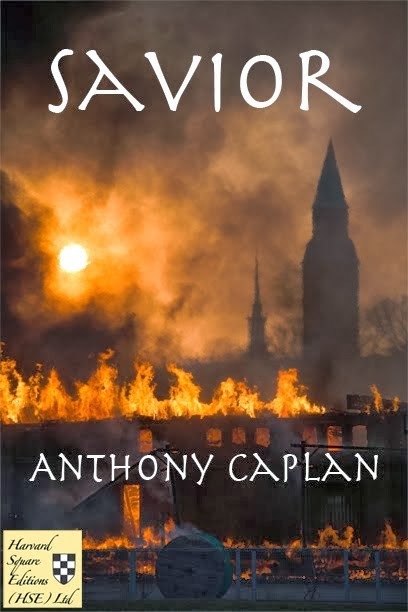 SAVIOR is available as an Amazon Kindle Ebook.